Take your weekend look from 0-100 with these sultry pants. 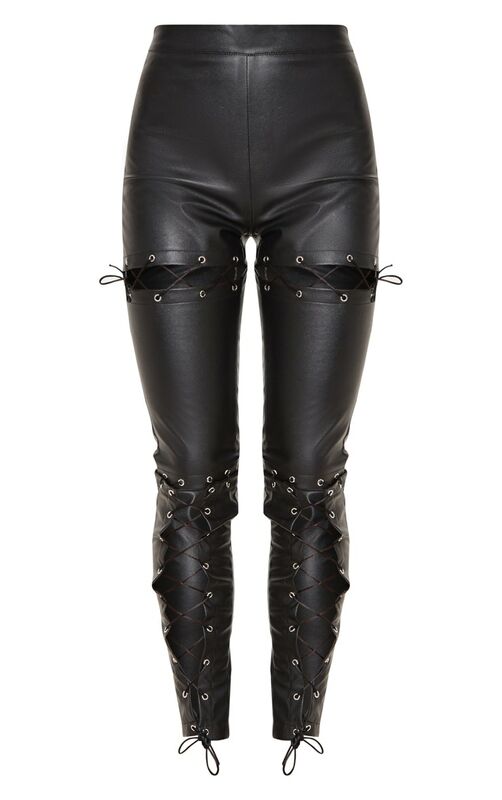 Featuring a black faux leather fabric, lace up detailing and a figure-skimming fit, what's not to love? 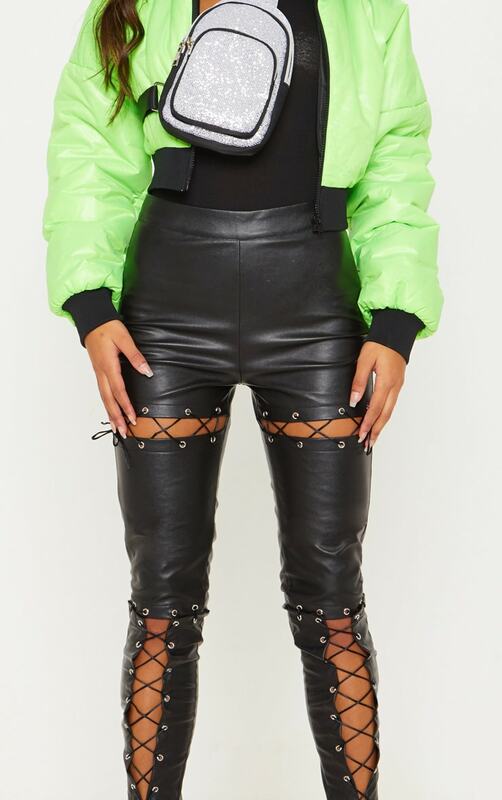 Team with a plain black bodysuit and a neon green puffer for a fresh look we're loving.